The Constitutional Law Society at National Law University, Jodhpur was founded in the year 2018 by Mr. Swapnil Tripathi (batch of 2019) to encourage discussion and deep routed understanding in the subject of Constitutional Law. The Society aims to cover aspects of the subject which cannot/are not in the class room due to several constraints. The Society undertakes several activities in the form of special lectures, competitions and general student discussions that augment and further the understanding of the students in the field of Constitutional Law. 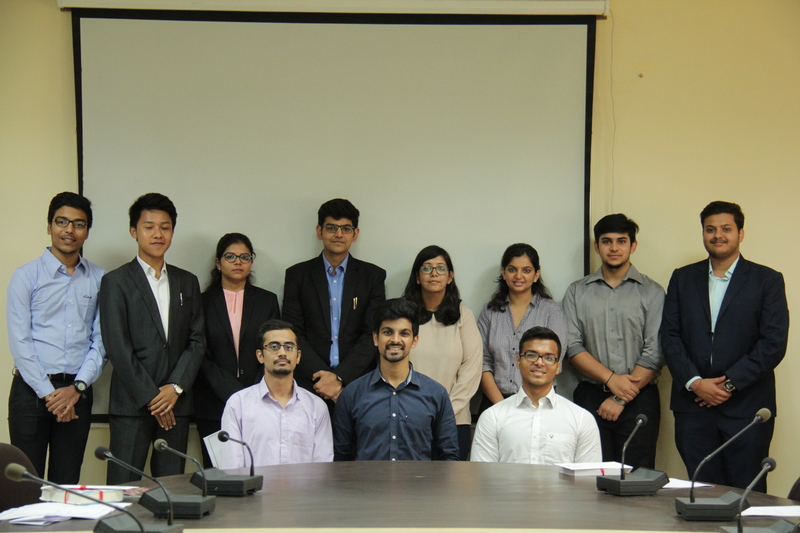 Since its establishment in January, 2018 the Society has successfully organized Guest Lectures by Ms. Shylashri Shankar (Senior Fellow, Centre for Policy Research) who spoke on �From Parliamentary Sovereignty to Activist Courts and Back.. and Back Again: The Tale of Indian Constitutionalism� and Mr. Sandeep Suresh (Faculty Member, Jindal Global Law School), who addressed the students on �Gun Control in USA and the 2nd Amendment: The Implications�. The Society also started a novel initiative in the form of Student Lecture Series wherein the students of the 4th and 5th year, take special lectures for the junior batches. Under the Series, a lecture on �History of Racial Discrimination in Education in the US: The Journey to the Present� was organized. The Society has also organized the 1st Intra-University Constitutional Law Judgment Writing Competition, 2018 wherein the students of the University wrote judgments on a factual proposition on the niche area of privacy law. The winners received prizes in the form of leading books on Constitutional Law and Letters of Appreciation, penned by Prof. I.P. Massey, Dean (Faculty of Law). Currently, the Society is organizing the 1st Inter-University Constitutional Law Judgment Writing Competition, 2018 wherein students from law schools across the countries will be penning down judgments on a niche area of Constitutional Law. Apart from the above, the Society organizes regular Panel Discussions wherein contemporary judgments of the Supreme Court and the High Courts are discussed and debated upon. The Society has also started a YouTube Series titled �Intra-Vires� wherein members of the Society discuss key Constitutional Law Decisions rendered by the Hon�ble Supreme Court of India and explain it in a manner suited for a common man�s understanding. The Society is the first in the University to draft and adopt its own Constitution, which governs and regulates its proceedings and working. The Constitution has been adopted in an official ceremony wherein it was signed by the Hon�ble Vice Chancellor, Registrar, Dean (Faculty of Law), Asst. Dean (Faculty of Law), Faculty Advisor and the Founding Convenor.